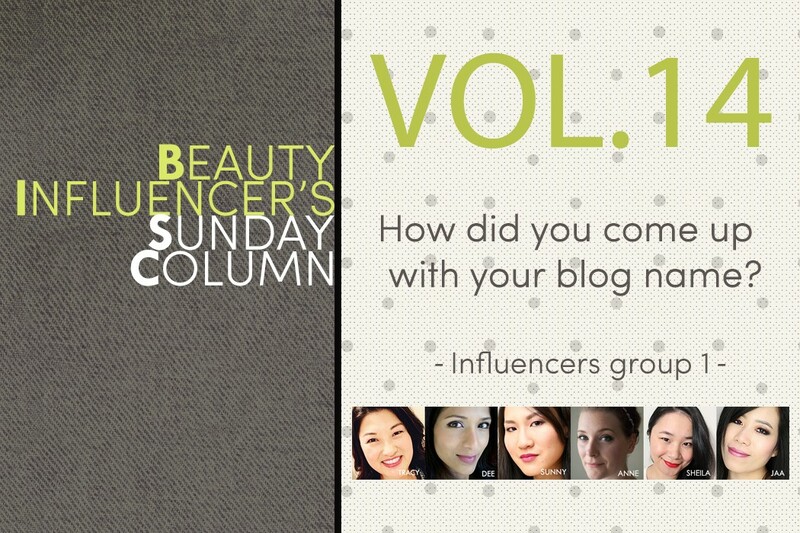 Beauty Influencer’s Sunday Column Vol.14: ​​What’s the inspiration behind your blog name? How did you come up with it? What’s the inspiration behind your blog name? How did you come up with it? My blog name came about during a discussion I was having with my husband. Beauty wise I had stopped listening to everyone else and started doing what was right for me. He suggested I call it Tracy’s Way but I remember thinking that that sounded too egotistical so he came up with sway beauty which was play on words of tracysway. It’s fascinating how a person can be swayed into purchasing a product simply based on who the “spokesperson” was and the word “Sway” always came to mind after having read a blog post or watched a YouTube video. The name of my blog is a total accident. I actually never intended to go this far with the blog, nor did I mean to make it a beauty blog. I just got bored one Sunday afternoon and decided to create a little online space to write about a little bit of everything, hence the wordplay of my own name! Mostly Sunny turned into a beauty blog because I realized I have the most passion for this subject, plus I have almost nobody in my real life to share it with. Choosing a blog name was a lot harder than writing the first few posts, and it was what took longest to decide on. Finally I figured it should hint what I was writing about while still being distinguishable from all the blogs carrying “Makeup” or “Beauty” in their title. So I settled for Spanish and picked: “Linda” (as in pretty, representing makeup), “Libra” (as in free, representing travel) and “Loca” (as in crazy, representing life with a newborn). Disclaimer: I know that “Libra” is the wrong translation, but it sounds much better that way. I used to be hosted on Blogger under the name Mademoiselle Loves Beauty. It was super long, and then when I switched over to WordPress, I shortened it to Maddy Loves. Although, I get my name mistaken for Maddy all the time now, so sometimes I just go by Maddy as my online name. It worked out!